That's not a playground, this is a playground! 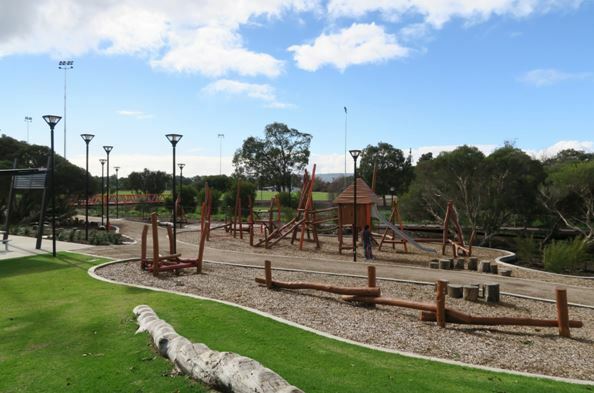 We have termed these playgrounds "Perth's Super Parks" as they are so much more than just somewhere to play - at these parks you are guaranteed a day of adventure. 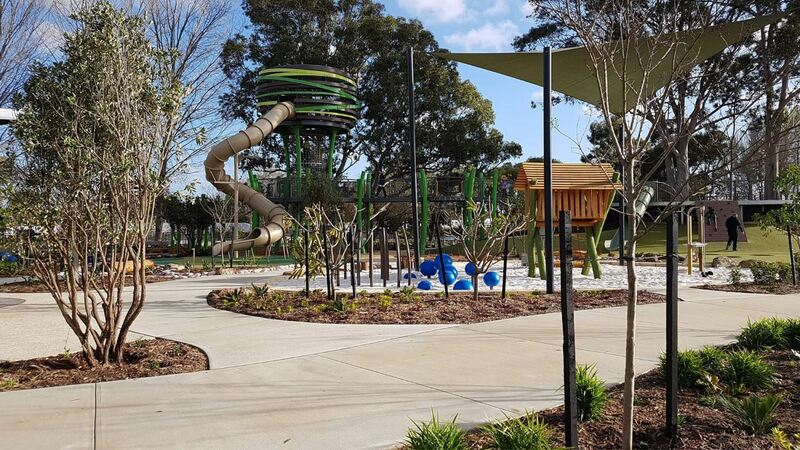 These parks are not only big, they feature nature based elements and large play equipment to give kids bit of a challenge and a thrill. 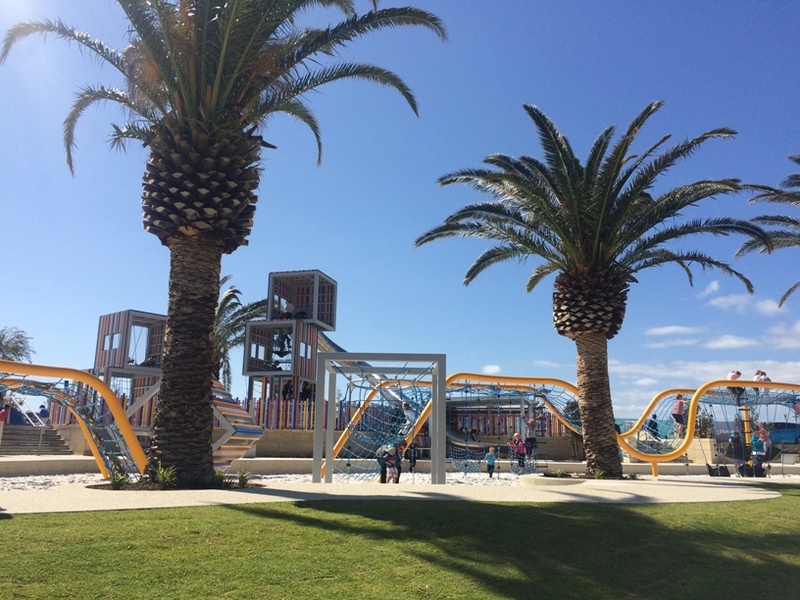 While they do have play features for younger children, these parks are especially ideal for kids that are of the age where they are a little harder to impress and may be starting to say "this playground is boring". There will be no boring playgrounds talk with these playgrounds, in fact they will begging to go back again and again. And of course when you are heading out for a day of adventure it's nice to have toilets, barbeques and picnic shelters too, so we will let you know what facilities each park has also. Adventure and fun for the whole family at Kinkuna Adventure Playground Allara Estate. With a big wooden fort playground, sports area, exercise stations and a water playground (summer only) this is a playground that is truly for the whole family. 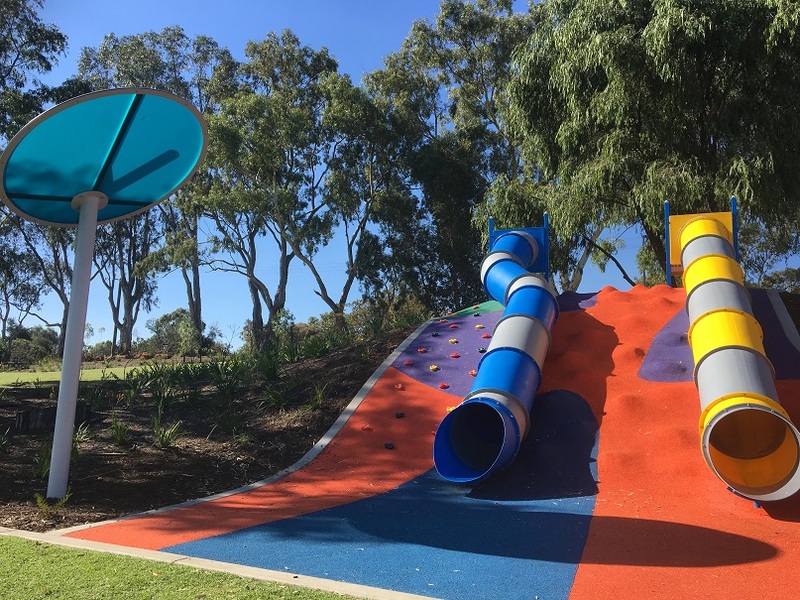 Variety Place, Saw Avenue Kings Park is a big playground that is largely nature based with tunnels, log climbs & crawls, set amongst the beautiful Kings Park bushland. 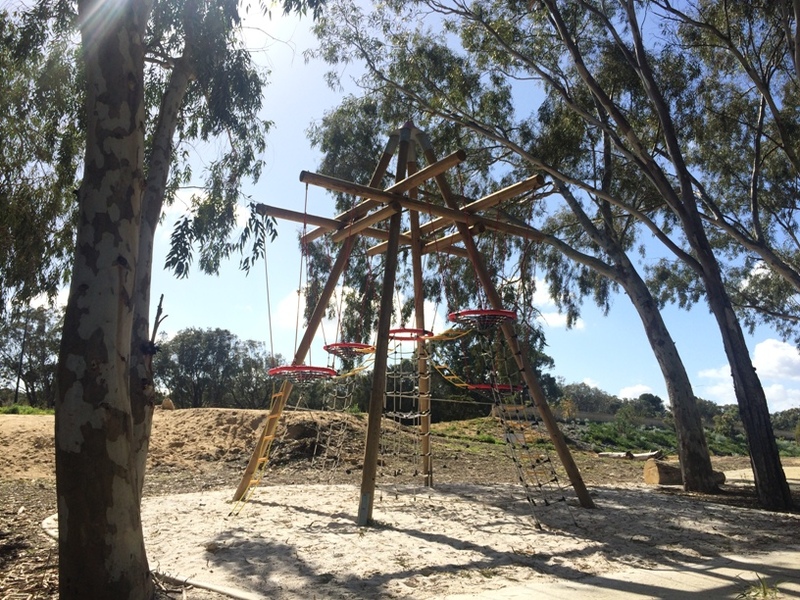 Adventurous kids will also love the rope climb and the big climb to the top to reach the fort perched at the highest point of this playground. 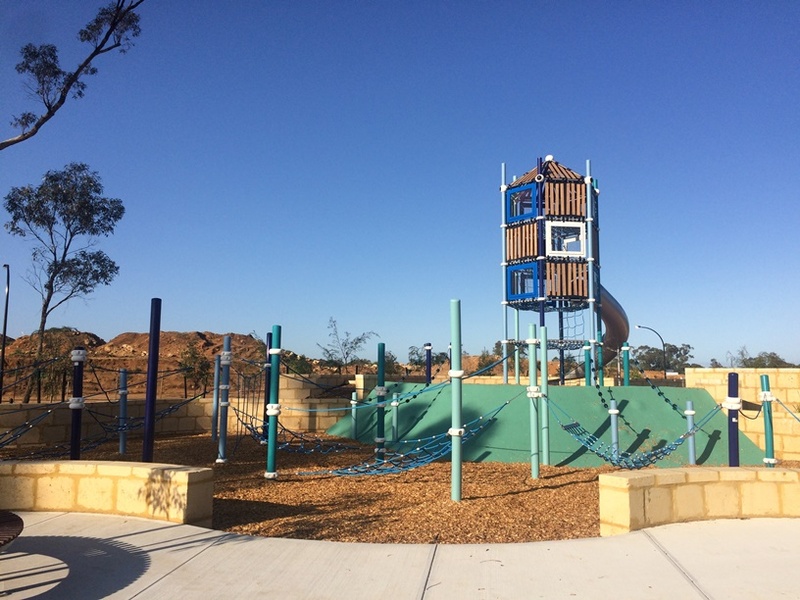 Full facilities with toilets, lots of bbqs, picnic shelters and lots of grassed and shaded area for a picnic making this centrally located playground the perfect day out of adventure. 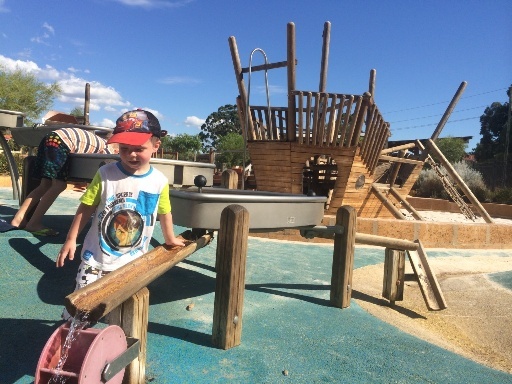 Located close to the Swan Valley, Livvi's Place Whiteman Edge is not only a fantastic adventure playground it's an all abilities playground with features for those with autism spectrum disorders, physical, visual, hearing and mobility impairments and is now fully fenced. 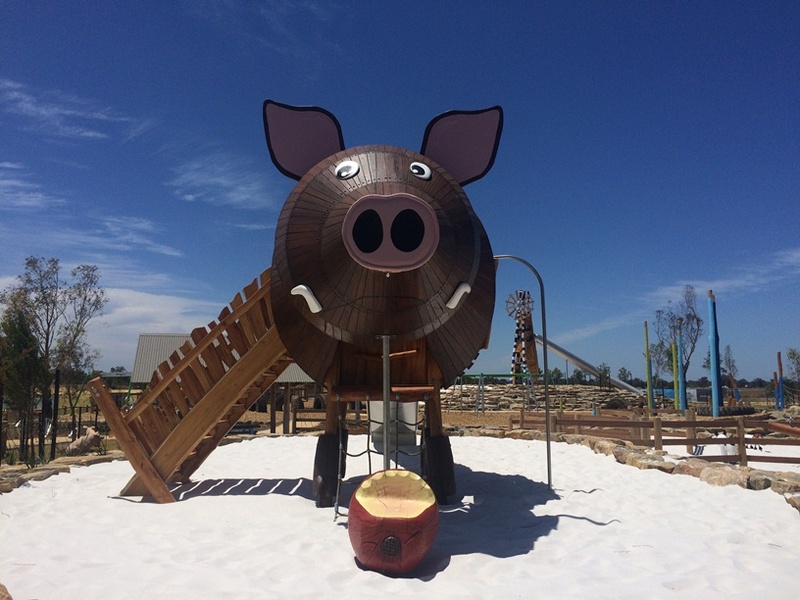 This massive farm themed adventure playground features 8.5m tall windmill with slide, double cable flying fox and this pig slide which is ideal for the younger ones. It may be a 1 hour drive from Perth but it's worth the trip you can easily spend the day away here - you can even bring your kayaks along and have a paddle in the small lake here. There are toilets, plenty of BBQs and picnic shelters too. 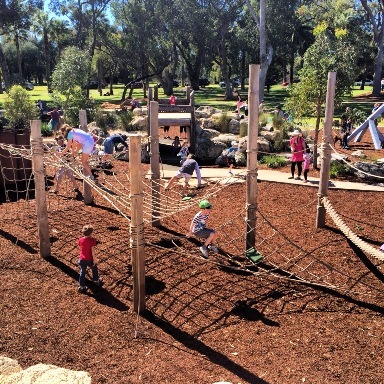 This big fully fenced adenture playground locaated alongside the Swan River is an all abilities playground that features a big wooden pirate ship, double cable flying fox, water play feature and lots of tunnels, rocks and hilss to climb through and over. 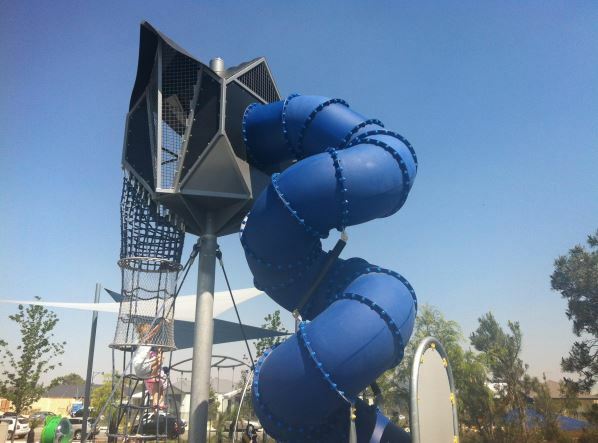 The kids will love this playground with a super tall winding slide - but they will need to climb a steep rope to get up to it. Warning this is not for the faint hearted! 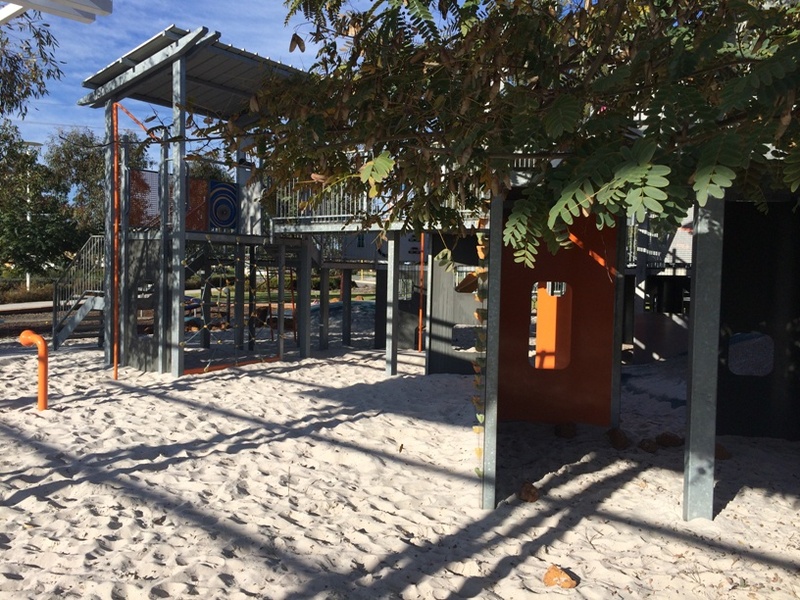 The playground also features a couple of built in ground trampolines, a basketball hoop and lots of nature and sensory based play for the little ones too. Adventure playground with big twisting slide, sand play, nature based play, ramps and more! A series of elevated ramps that are joined by a cubby houses and there is low level play for little ones and more challenging play for the big kids. 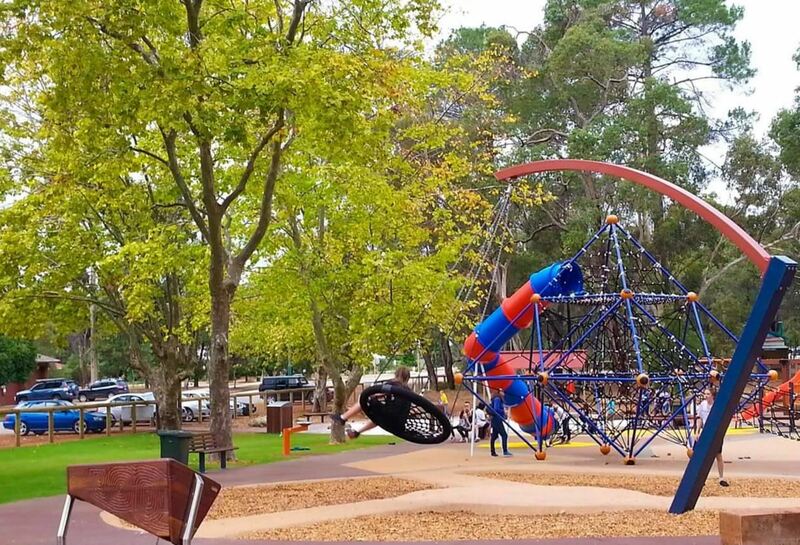 St Leonards Estate Playground is very close to the Swan Valley so it's a good one to let the kids stretch their legs in between winery visits too. Lots of picnic tables, BBQs and toilets as well as a big grassed area to kick the ball around. 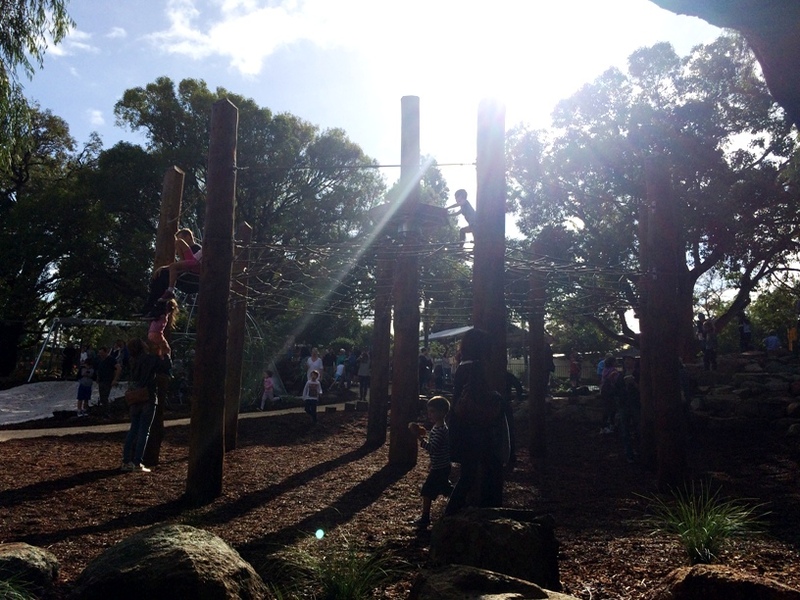 Designed for kids 10yrs + by kids of this age - this playground has some challenging play equipment in particular a very tall log pole climb to a very high net and of course the double cable flying fox will keep them entertained for hours. This park features bbqs, toilets and water fountain. Three separate play areas spread out across this big shady adventure park built into a large quarry. 24 hectares of recreational space to explore with nature based playground, water play, flying fox, nature board walks and lots more. What's could be more adventurous than climbing a volcano!? The big volcano at the centre of the park is fun to climb, you can walk or slide back down. There is also a flying fox so you can feel the wind through your hair and you can dodge the water spouts and run through the water sprays in the jungle garden. Fully fenced with BBQs, picnic tables, and toilets available just across the carpark near the Belmont Oasis. 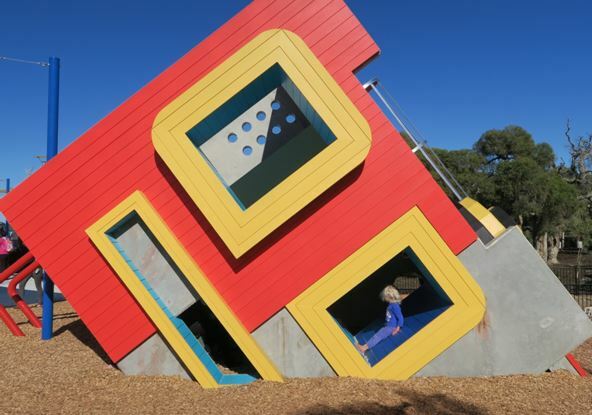 Sculpture Park Mundaring is now arguably the best playground in the hills area. 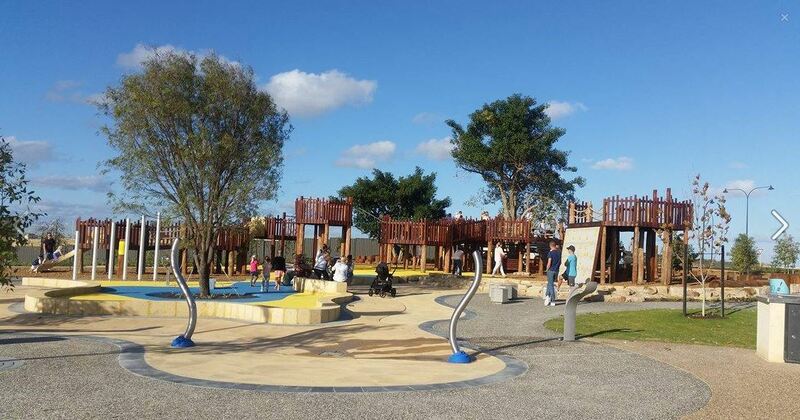 With lots to climb and explore and a focus on nature and sensory play, your kids will spend hours playging and exploring the sculptures in this park that give it, it's name. BBQs and toilets are available at the park and the family friendly Mundaring Tavern is just across the road so you can easily play the day away here. 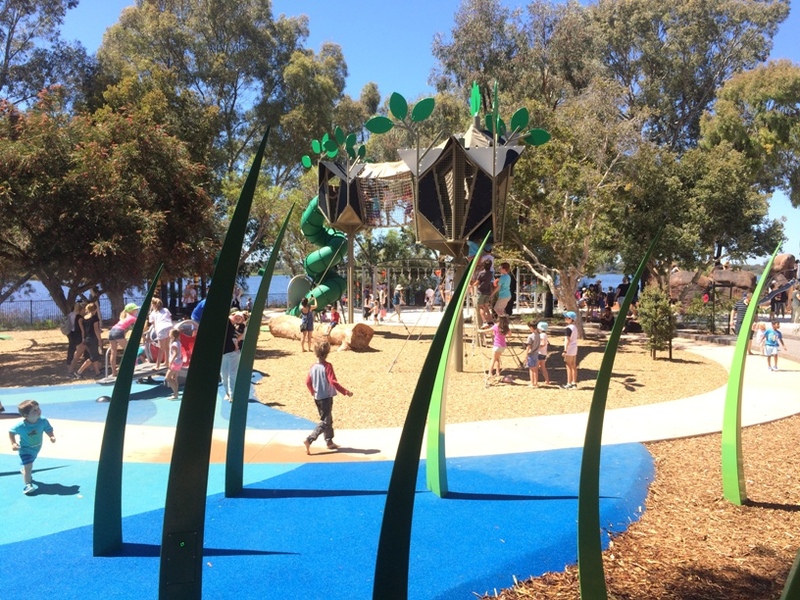 The Newhaven Estate Robot Park Piara Waters is unlike any other park in Perth. 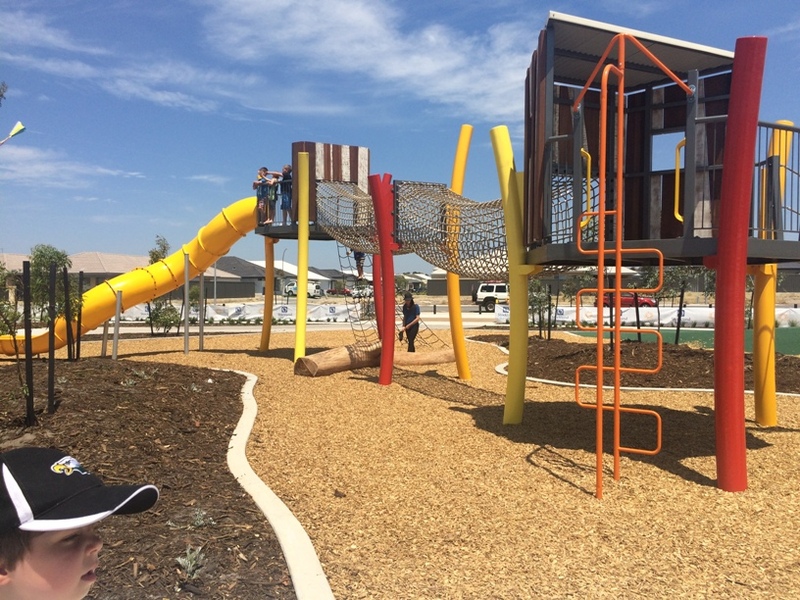 It has been fantastically designed with a mix of industrial robot themed play equipment and a contrast of nature, sand and water play. You'll need to pack up the bikes and plan for a day trip for this one but it's worth the drive. With huge slide built into the hill face, massive rope climbing frame and bmx track you can most certainly play the day away here. There are BBQs, picnic shelters, a water fountain and seating, but no toilets. 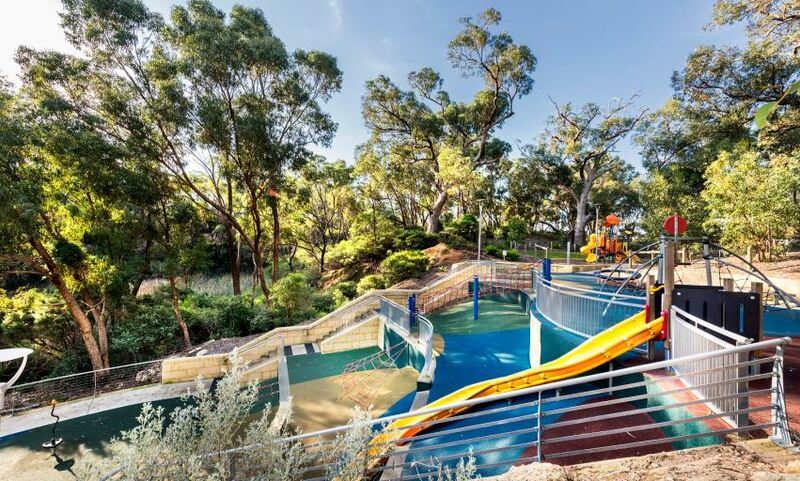 Big playground spread out into several sections with play for all ages include a flying fox, big slides and water play. 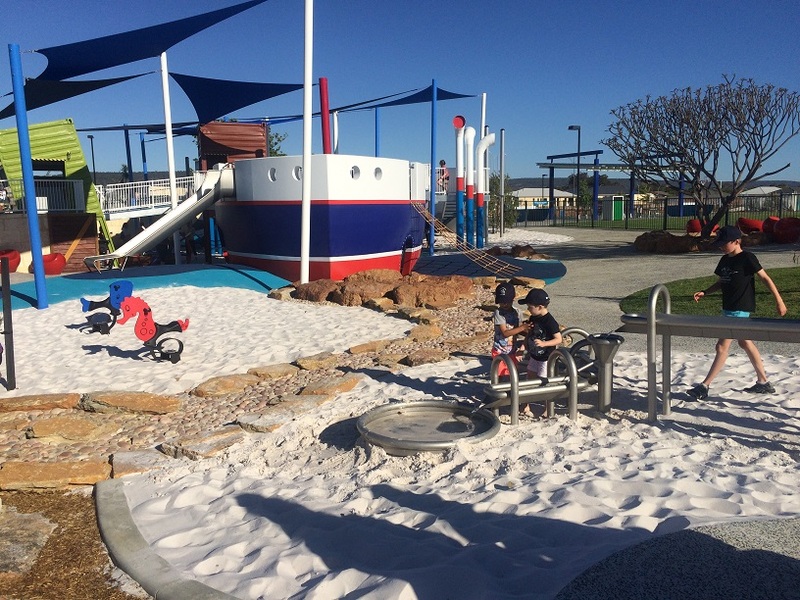 This playground gets our vote for best in Perth with absolutely everything you could want in a playground. All year round water park, flying fox, trampolines, tree walk, skate park alongside and so much more. Super tall jungle climb slide, bmx track and skate park all in the one amazing playground. Picnic table, BBQ and water fountain available but no toilets. 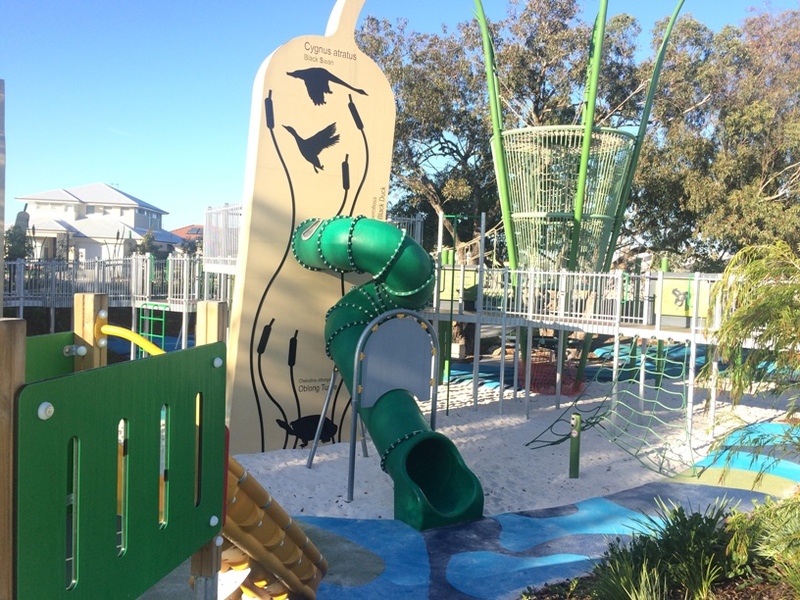 Climb the three storey high cubed tower and take on the ropes challenge at this amazing beach foreshore playground. This park features bbqs, toilets, picnic shelters and a water fountain. Huge adventure playground with flying fox, sky walk, water play and lots more, with something for all ages and abilities to enjoy. State of the art adventure playground with 7m tall jungle climb and lots of other jungle themed play features. 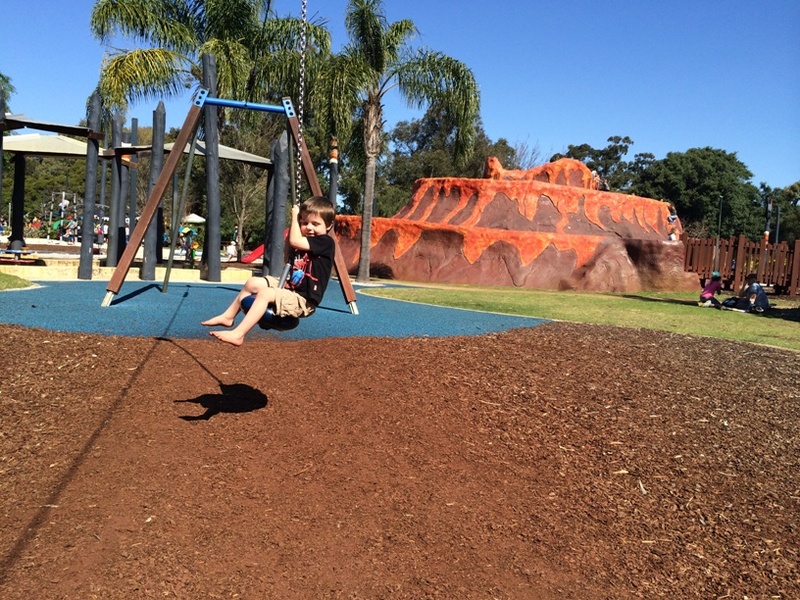 Huge fully fenced shipwreck themed park with flying fox and water play on the main land. The park features picnic shelters, toilets, bbqs and a cafe (not open every day). 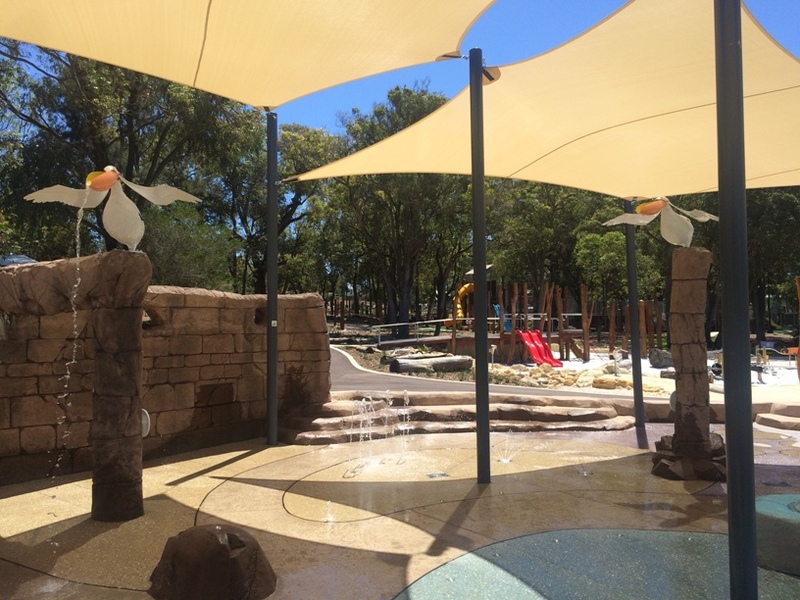 Due to the scale of some of these parks and playgrounds they are mostly reliant on natural shade, so you may need to leave your play until later in the day on a very hot day, and of course don't forget to take hats and sunscreen along. We hope that you and your family enjoy your day out of adventure. Don't forget to pack a picnic or BBQ and spend the day away - and enjoy an early night as the kids crash out without any trouble when you get home.